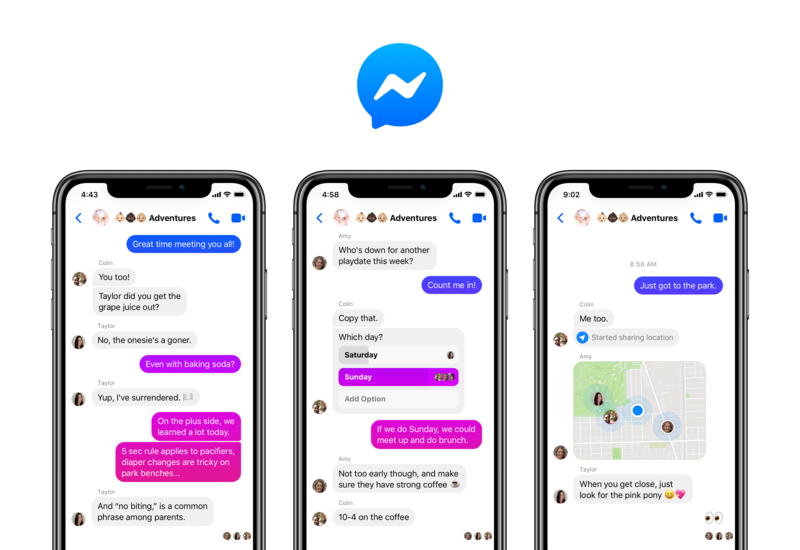 It can take time to get used to changes in an app you rely on every day, which is why we’re rolling out Messenger 4 in phases. We have a handful of new features we’re planning to introduce in the near future, like Dark Mode, a re-skinned interface that cuts down on the glare from your phone. So take your time, settle in, and we’ll be back with more soon. Welcome to the new Messenger. (1) Research conducted by Kelton Global among n=5,012 adults aged 18+ in the US, Australia, Canada, France, and the UK in August 2018. (2) Research conducted by Greenberg Strategy among n=6003 adults aged 13-65 in US, Canada, France, Germany, UK and Australia in July-August 2018.